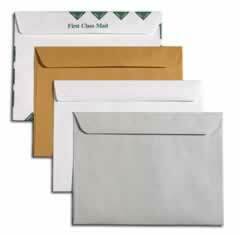 Open-side envelopes are sometimes called booklet envelopes and have their flap running along the longer dimension of the envelope. The standard sizes range from 6x9 to 10x15. 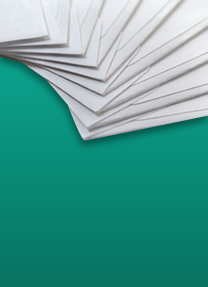 Open-side envelopes are commonly used for mass mailings as they are machine insertable. First Impressions often trims off the flap of the envelope for title companies to use as escrow envelopes or for job dockets. If you have further specifications, please call our team today.